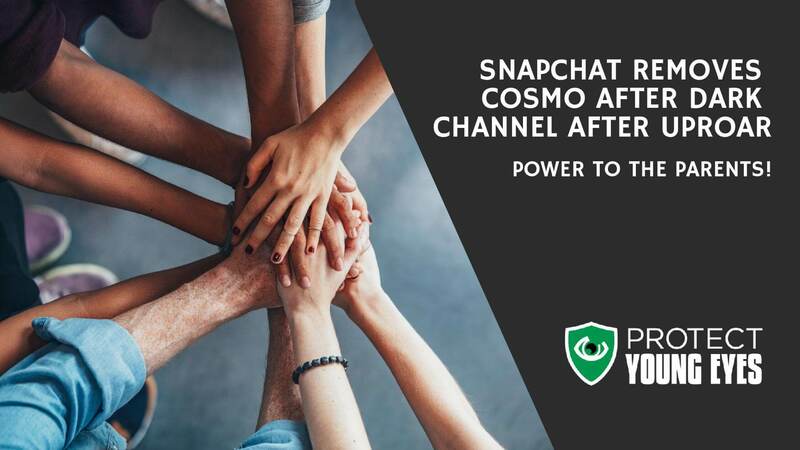 With Your Help, Snapchat and Cosmo Listened – Cosmo After Dark is Gone! 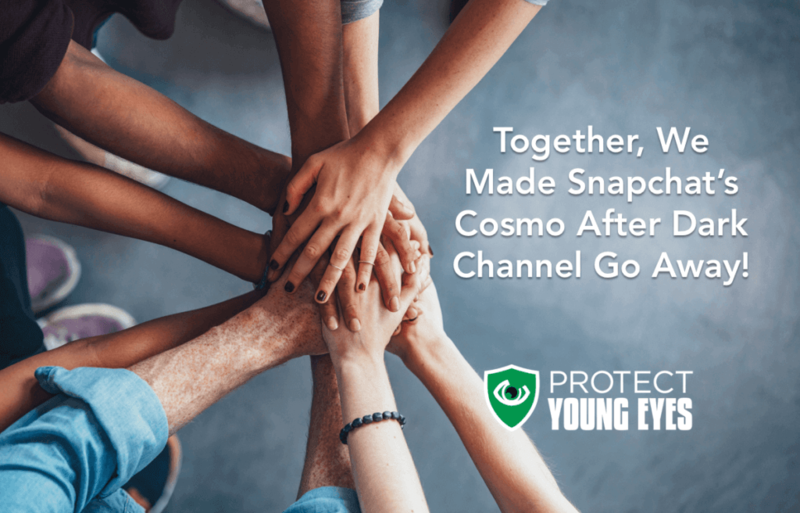 Protect Young Eyes broke the story about the Cosmo After Dark Discover Channel on May 20, in a blog post that was shared by thousands and read by millions. THAT is the power of technology being used in noble and productive ways! 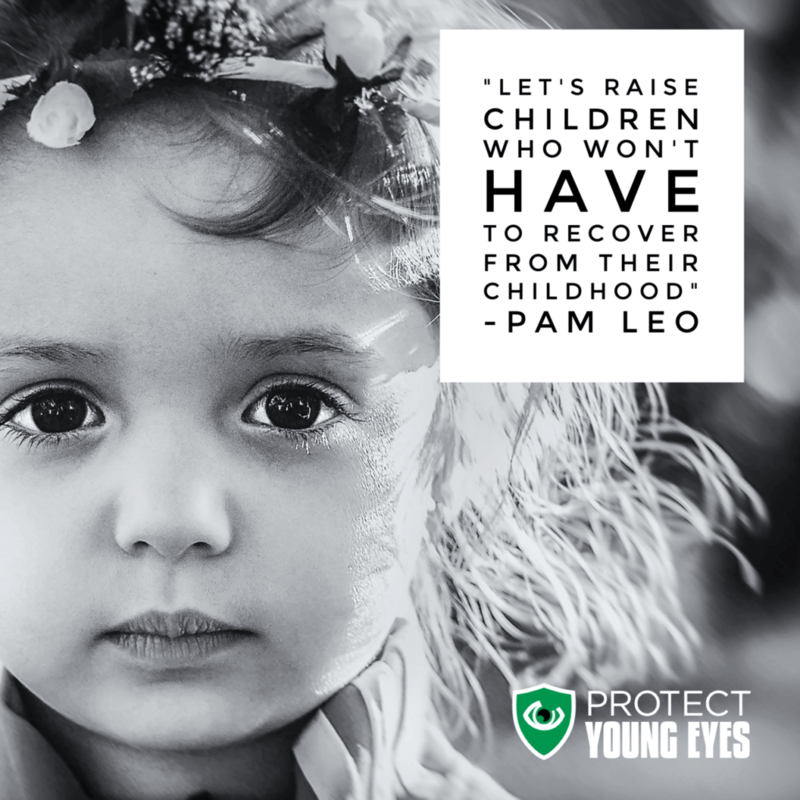 Thank you to everyone who took a moment to take action. The statement above was confirmed with Snap, Inc. by WSPA News 7 reporter Ben Hoover. Remember, parents and all caring adults who are observant, engaged, and informed, often have kids who learn to use technology well! 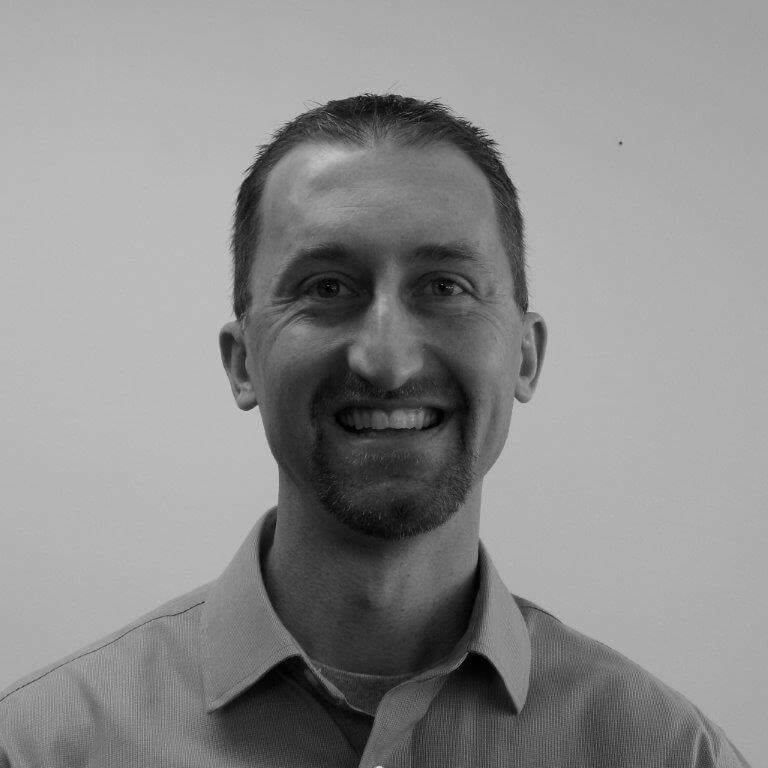 If you would like to send Snapchat a message, thanking them for listening to our voice, here is a link to their contact form in the Investor Relations section of their website: Contact Snap, Inc.